Another study reviewing the presence of gluten intolerance and gastric immunity discovered these two conditions in a staggering 40% of their patients with sarcoidosis (Papadopoulos, Sjoberg, Lindgren, and Hallengren 525-31). And yet another earlier article found that intraepithelial lymphocytes (IELs) and circulating antibodies to alpha-gliadin (AGA) were significantly raised in sarcoidosis (McCormick, Feighery, Dolan, O’Farrelly, and Kelliher 1628-31). And in case you weren’t aware, increased IELs and AGAs are typical in celiac disease as well. 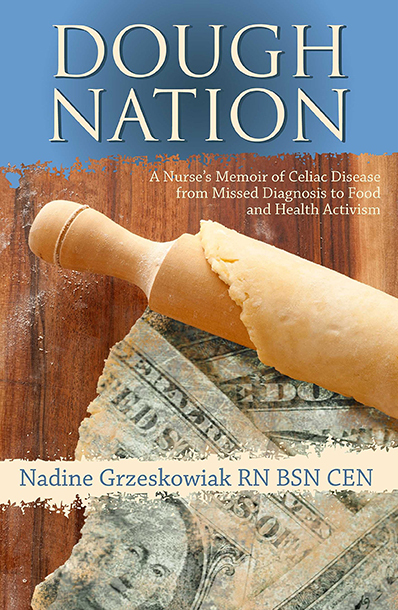 If you have sarcoidosis, or have dealt with this condition in the past you might want to bring up celiac disease with your doctor. And, if you are in the area, Nadine will be presenting an “Introduction to Gluten Intolerance and Celiac Disease” at the Portland sarcoidosis support group meeting on Saturday, January 30th and to the Albany support group on Saturday, February 13th. Hwang, Elizabeth, Russell McBride, Alfred I. Neugut, and Peter H.R. Green. “Sarcoidosis in Patients with Celiac Disease.” Dig Dis Sci. 53. (2008): 977-81. Print. McCormick, P A, C Feighery, C Dolan, C O’Farrelly, P Kelliher, F Graeme-Cook, A Finch, K Ward, M X Fitzgerald, D P O’Donoghue, and D G Weir. “Altered gastrointestinal immune response in sarcoidosis.” Gut. 29. (1988): 1628-31. Print. Papadopoulos, K.I., K. Sjoberg, S. Lindgren, B. Hallengren, and P Kelliher. “Altered gastrointestinal immune response in sarcoidosis.” Gut. 29. (1988): 1628-31. Print.